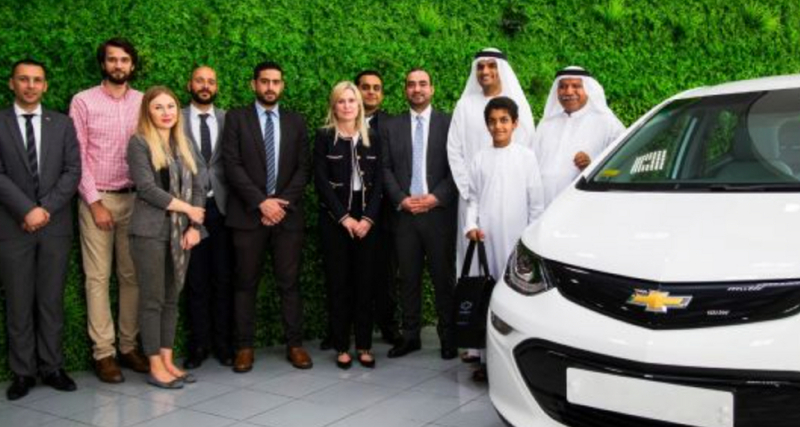 Earlier this month General Motors Africa and Middle East divisions joined with property and real estate developers, Diamond Developers, to further the education and adoption of electric vehicles in Dubai. The memorandum of understanding (MOU) with Diamond Developers is significant, as the company is responsible for building The Sustainable City, a 46-hectare development which is the first net-zero energy community in Dubai. The MOU will be effective until 2020 and will work to “fulfill the vision of His Highness Sheikh Mohammed Bin Rashid Al Maktoum, UAE Vice President & Prime Minister and Ruler of Dubai, to promote sustainable development,” General Motors said in a statement. A key component of the collaboration will be education and will feature electric vehicle familiarization programs for residents of The Sustainable City, the same programs will also be integrated into the Future Mobility module at the SEE Institute. The partnership is also planning to explore the potential viability of an EV ride-sharing service offered to The Sustainable City’s residents, which would then make use of a fleet of Chevrolet Bolt EV hatchbacks, which is Chevrolet’s first EV effort in the region. Interesting enough, the facility, which includes some 500 villas, 89 apartments, and mixed-use areas consisting of offices, and retail spaces is actually a car-free site, save for parking lots and service roads. The development also boasts 10 MW of peak solar energy production and offers several charging stations for electric cars. “The Sustainable City, as an international model for green living, is strongly aligned with our vision for a future of zero crashes, zero emissions, and zero congestion so this is a natural partnership for us,” said John Roth, President and Managing Director of General Motors Africa and Middle East, commenting on the MOU signing.